Updated on 31.10.2016. Hello, dear readers of blog sochimotor.ru. As you know, rent a car in Abkhazia is not yet available in Sukhumi or Gagra. However, nothing prevents from renting a car in Sochi with ability to visit Abkhazia, and just crossing the border. In this article, I will tell how to rent a car in Sochi using Rentalcars.com, with permission to visit Abkhazia. Below are detailed instructions on how to rent a car to go to Abkhazia. For those who want to learn about technical and legal aspects of crossing the border in a rented car, there is a separate post covering this topic. I recommend you to read this guidance through at first and then to proceed to actions. Select rent country and city (Russia and Sochi, respectively); as a rent location, you can select the airport or all locations. Enter expected rent dates and press the “Search” button. If you did not select the airport as a car receipt location, there are 2 options at the next stage: to hire a car in Sochi or to hire a car in Krasnaya Polyana. For convenience and simplicity, we will use the case when car rental starts in the Adler International Airport. We came to the most responsible moment of ordering a car for rental: selection of the company! Luckily, the system does not hide names of rental companies from us. At the moment of writing, only 2 car rental companies among all represented on the website allow to visit Abkhazia. These are Rentmotors and UrentCar. How Much Does a Permission to Visit Abkhazia Cost? 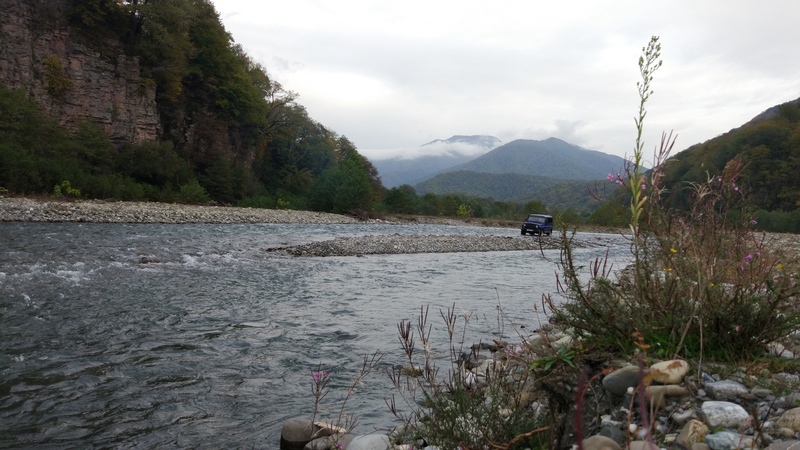 A permission to visit Abkhazia via Rentmotors or UrentCar costs RUB 5000 (~ $ 79). It’s a flat payment charged before the rent starts regardless of the car rental term or days of staying in Abkhazia. The broker’s website has no information about going abroad on a rented car, however, such possibility exists. I do not know why they make such a secret of this… You can very easily check the information: just call to their offices by the telephone numbers specified on the website and ask: ‘How much does it cost to go to Abkhazia in a rented car?’ and they tell you these prices. Let us return to car reservation. Enter the data requested by the system, and reserve the car. Step 4. Additional Insurance: to Order It or Not? 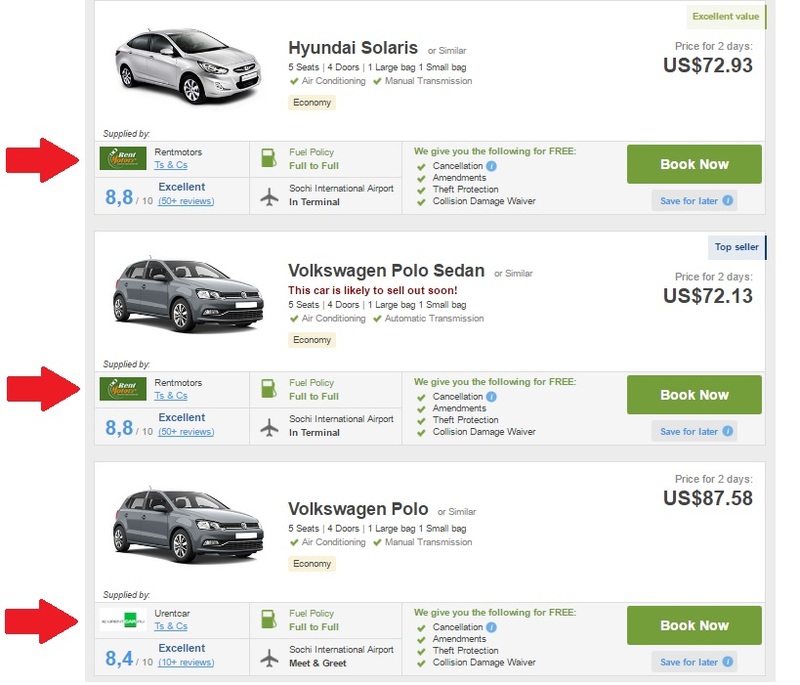 Almost all car rental companies try to sell additional car insurance. There is no sense in discussing whether such protection worth it, or whether saving is more important. Some rental companies state that their cars are insured, and the insurance is valid in the territory of Abkhazia. You can verify it by carefully reading the car rental agreement where you should pay attention to clauses about Renter’ responsibility. If additional insurance amount is not burdensome, it is easier to include it into the rental cost. But whether to do it or not is up to you to decide. Personally, I am against the additional insurance because I believe that the main insurance is an adequate and responsible driver. After entering personal and card data, rent amount is debited from the card. It should be noted that reservation may be canceled free of charge 48 hours before the rent starts. Additional services, including visit to Abkhazia, may be paid in the rental station at the airport. Security deposit amount is also blocked on the card when the car is received. After receiving the rent payment voucher, it is necessary to call 8 (495) 705 90 99 and to notify rentalcars.com manager that you go to Abkhazia. Going abroad is a strict procedure that should be followed. Why to rent in these companies? Answer: there are some other companies which allow going in and out of the republic, but their procedures are more complicated and more expensive. You can google: rent a car in Abkhazia or how to rent a car in Abkhazia. Why to rent via a broker rather than to rent directly? Answer: because this particular broker is a very serious company, and it would be very improvident for the 5 agencies represented on the broker’s website to let such broker down. In addition, the broker really cherishes its reputation and, if a rental company makes any mistake, will offer options to solve the problem. I hope I described the matter in all details. If you have any questions, please put them in the comments, I will answer. ← Как сэкономить в Абхазии?